I am in a bit of a flux today (seems like this is becoming my recurring theme). My usual waiter at Tribeca’s Kitchen is on vacation for TWO WEEKS, and he didn’t tell me. So here I sit, with my laptop and my notebook that has several ideas for this evening’s post, at a loss. All the staff here has always been lovely to me, and I am still in capable hands, but what to write about. I didn’t realize how much Alberto effects my usual routine. And now, the atmosphere is bothering me. I can tune things out or absorb them, sometimes pay attention to an interesting conversation, but the couple sitting next to me is bothersome and I just stuck my sleeve in the cream cheese (I’m doing the bagel and lox platter today as a change, even though I’ve cut down on dairy). So instead of writing about my recent trips to the Abingdon Theater and the history of my obsession with off-beat, yet not weird for weird-sake, theater, I have decided to pick on poor old fool of an idiot, president-elect trump and his creepy family and supporters. 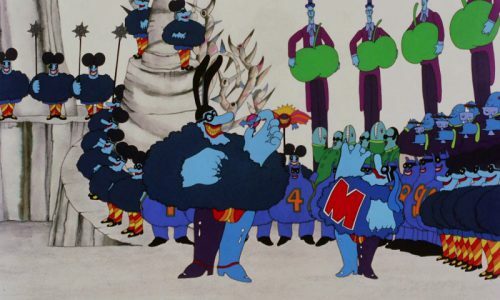 For those of us boomers who remember Yellow Submarine and the takeover of Pepperland by the evil Blue Meanies, we must call upon our inner Beatles to fight the tyranny of the new administration and save our own Pepperland. 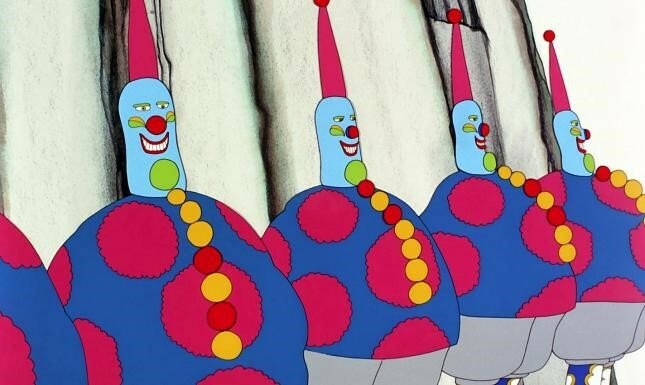 So I’m sharing with you a picture of his blueness the president-elect, his lovely 3rd wife (see, she even wears an M on her chest), and his minions, plus a picture of some of the cabinet picks. Who do we think will be the Glove? Hmm. Stop your messing around. BTW – I got myself a new mattress topper with a free Bed, Bath and Beyond gift card from bank points I earned and a 20% off coupon, and I am so digging it. And speaking of thing that have gone right, my office-issued cell phone (they lend me a phone because I wouldn’t get one) had to be replaced and now I don’t have to charge my battery twice a day, Gilda and I had a swell slumber party the other evening, and this year’s bourbon balls have been rolled and after fermenting for just a week are FABULOUS, with an extra batch of first-time rum balls that I made last night. I just have to get them out of here before I wind up eating them all. And a special BTW shout out to the Standing Rock Sioux. Woohoo! Now that is inspiring!